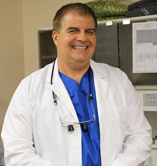 Dr. John M. Conti, DMD, PA - Dr. John M. Conti has been performing general and cosmetic dental procedures in St.Petersburg for over 20 years. A graduate of the University of Florida College of Dentistry and the school’s Implant Educators Dental Implant Residency program, he is committed to providing you with the most technologically-advanced, pain-free dental care. Kim Morris - Kim is the newest member of our team. 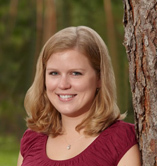 She received her undergraduate degree in marketing from the University of Central Florida. After desiring to make a career change, Kim decided to follow in her family’s dental tradition and received her dental hygiene degree from St. Petersburg College. She is dedicated to providing personalized, quality dental care to all of our patients. Equipping patients with the knowledge they need to maintain healthy mouths and in turn healthy bodies has become her passion. When not in the office Kim loves spending time with her husband, Dan, and young son, Bryce. Rosanne Hartman, Office Manager - Rosie, our Office Manager, joined Dr. Conti’s team in 2003, and has over 20 years’ of dental front office experience. In addition to coordinating your appointments, Rosie can help maximize your insurance benefits and is happy to answer any financial questions you may have. Having been trained at a large dental clinic, Rosie appreciates Dr. Conti’s private practice setting where she is able to devote time to getting to know each patient personally.